The solo debut for Status Quo’s Rick Parfitt will be released posthumously in March. Rick died on December 24, 2016, the day before George Michael. 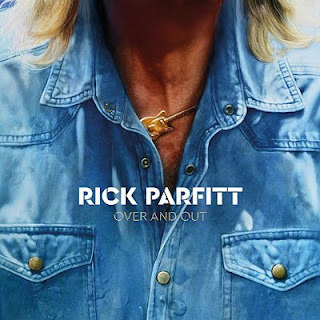 Parfitt decided to make his first solo record while he was recuperating from a heart attack in July 2016. He called the album Over and Out with the title track being played at his funeral. Rick had completed his vocals and guitar work for the record at the time of his death but work needed to be done to complete the project. His friends Queen’s Brian May and Muse’s Chris Wolstenholme, both of whom were close to Rick and Rick’s son, Rick Parfitt Jr, were also involved in the creative process, as were John “Rhino” Edwards and former Quo member Alan Lancaster. Over and Out will be released on March 23, 2018.